Cardiff collects food waste weekly from every household. You can recycle all cooked and uncooked food as well as tea bags and chicken bones using this service. Food waste is turned into energy to power our homes using a process called anaerobic digestion. 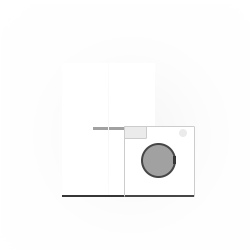 Check out the animation to learn more. Did you know that 6 recycled tea bags can produce enough electricity to boil a kettle? In one year all of the food waste in Cardiff could have filled up 11 Olympic sized swimming pools! The Council collects recycling weekly from every household in Cardiff. 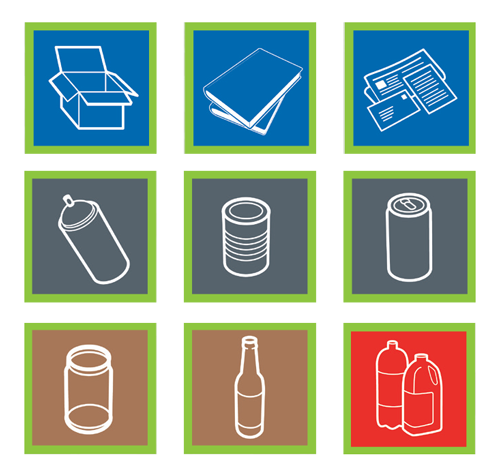 You can recycle paper, cardboard, glass bottles and jars, plastic bottles and food containers, empty aerosols and metal food cans all together in one green bag. Green bags are available free of charge from council libraries, leisure centres and hubs. You can also order more bags online. Once your recycling is collected, it is sorted at Lamby Way Materials Recycling Facility (MRF) before travelling to the reprocessors to make new goods! Watch the video to find out more. In one year we recycled enough glass to cover over 2000 tennis courts! Did you know we have to recycle 70% of our waste by 2025 – we’re not there yet and so we need your help! We currently recycle at 58%. Our next target is 64% by 2020. The Council collects general waste fortnightly from every household in Cardiff. 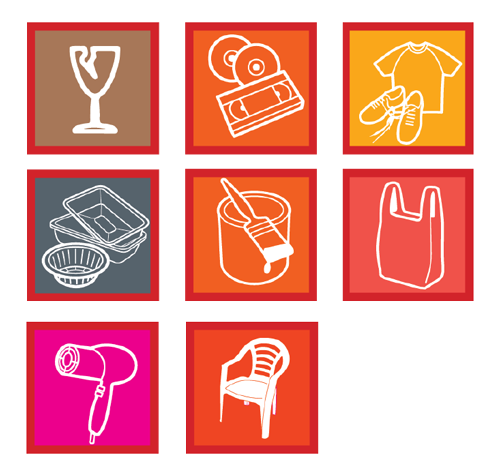 Depending on your area, general waste is collected either in a black wheelie bin or red and white striped bags. To encourage recycling and to meet strict government recycling targets, the amount of general waste the council will collect from each household is limited. Find out more about your bin or bag collection, including how to present your waste. We’re no longer sending waste to Landfill in Cardiff; we work with a company called Viridor who turn our waste into energy. If you’d like to see behind the scenes in the plant, why not book a visit? The Council collects garden waste in Cardiff fortnightly in the summer months and monthly during the winter. Depending on your area, garden waste is collected either in a green wheelie bin or white reusable sacks. If your home is on a route for a reusable garden sack collection, you must opt-in to the service. If you are not sure, you can check your collections here. Did you know that your garden waste is turned into compost which can be used to grow more plants? By recycling garden waste we’re helping the environment. The environmental impact of recycling Cardiff’s garden waste in one year was the equivalent of taking nearly 2000 cars off the road! Cardiff also provides a bulky item collection service and a chargeable collection for house clear ups. This is a low cost collection solution to remove unwanted items from your home. 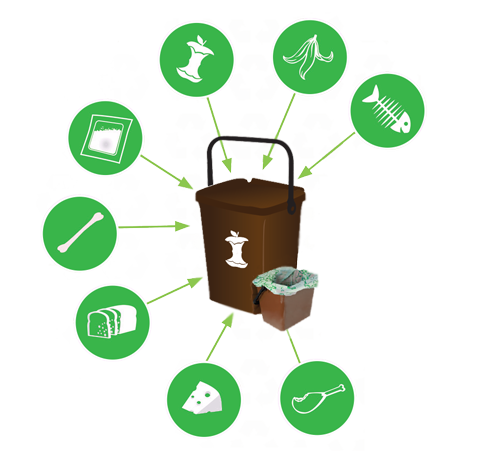 Learn how to present your waste for collection. Order more bags and report missed collections.